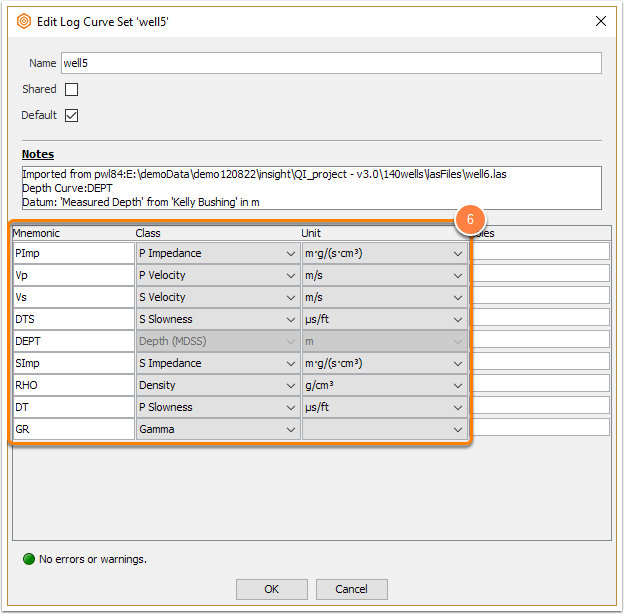 Once you have imported and defined your log curve sets (see Defining Log Curves), you can edit the classes and units of the curves in the Well Configuration. Note: To edit the curve set, you have to be the owner of the well and the curve set. To take ownership of the well, right click on the well in the Control Panel and select Take Ownership. 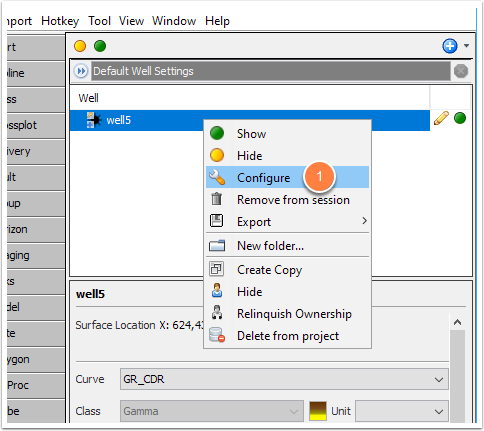 To take ownership of the curve, click Own in the Curves tab of the Well Configuration. From the Well tab, open the well configuration window by double-clicking or right-clicking a well and choose Configure. Choose the Curve set / imported LAS file. Click Own / Take ownership (if needed). 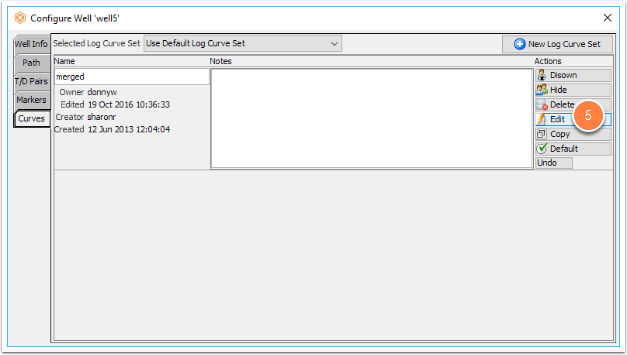 The "Edit Log Curve Set" window is displayed. Set the class and units for each curve.